I do, however, listen to the Radio ... especially BBC 6Music and Classic FM ... when I'm not in the mood to choose ... and am looking for inspiration. I also listen to my iPhone / iPod on shuffle to find forgotten gems in my collection. 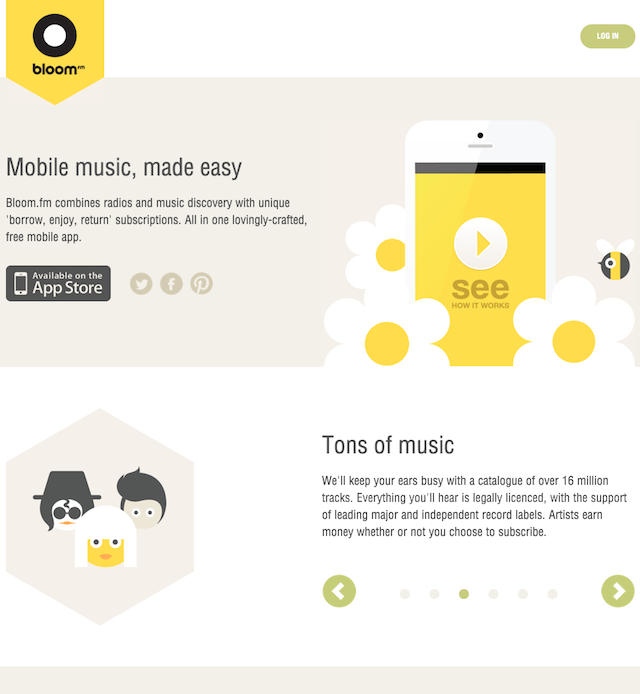 Bloom.FM is a new service that allows me to stream music but works more like a radio or an iPhone on shuffle than Spotify or the like. 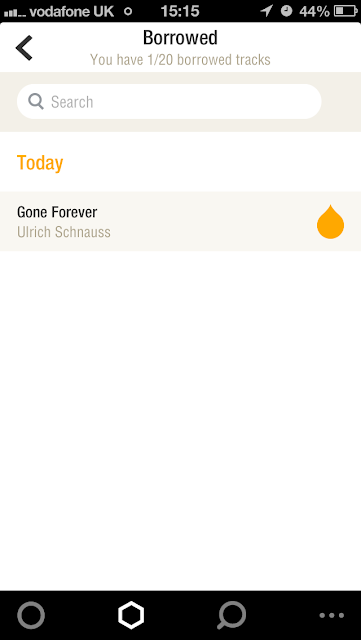 The iOS app allows you to choose a genre of music and stream tracks loosely associated to the genre ... 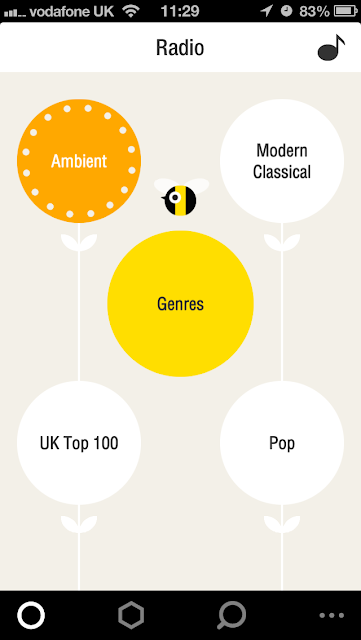 I say loosely because their 'ambient' is not what I consider ambient ... and their 'modern classical' included Bryn Terfel ... but that aside their selection is still pretty strong. If I want to I can 'borrow' music to listen to offline. Their prices for this services are reasonable - £1 per month for 20 tracks, £5 for 200 and £10 for unlimited tracks - with these different levels including other features such as playlists and streaming. What I particularly liked was the 'audit trail' of what I had listened to. I can go back and investigate a track that I like. All in ... I am impressed with this app and have it on my second iPhone which is currently docked in our player and is tickling my ears with some Global Communication. It is available as a free iOS app at the moment but there are plans to introduce apps for Android devices and for the Web in due course. I certainly hope it succeeds. 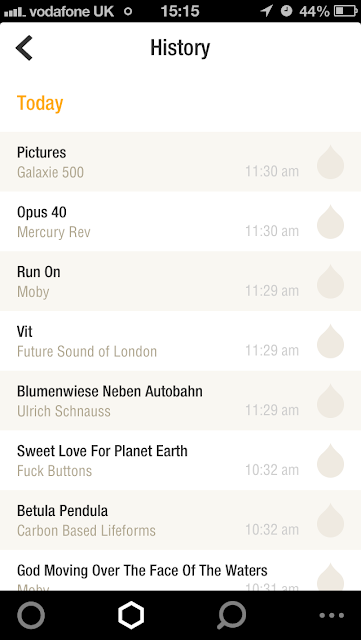 Thanks to Baxter for the heads-up that Rdio is now available in the UK. Rdio is available in the UK, Thomas, though I'm not sure how long it has been.